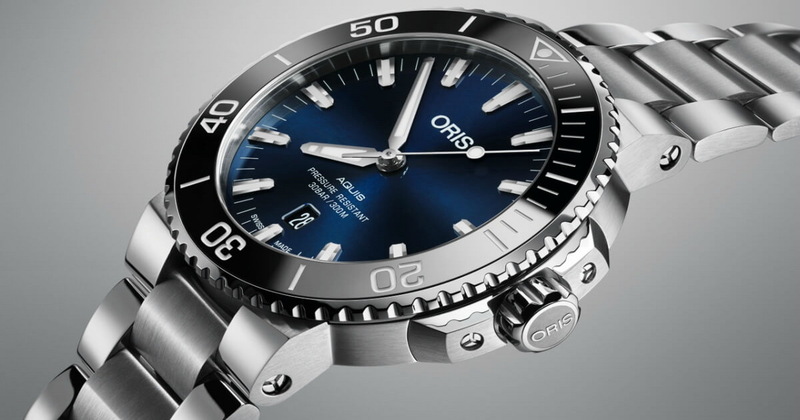 Oris releases the next-generation Aquis. 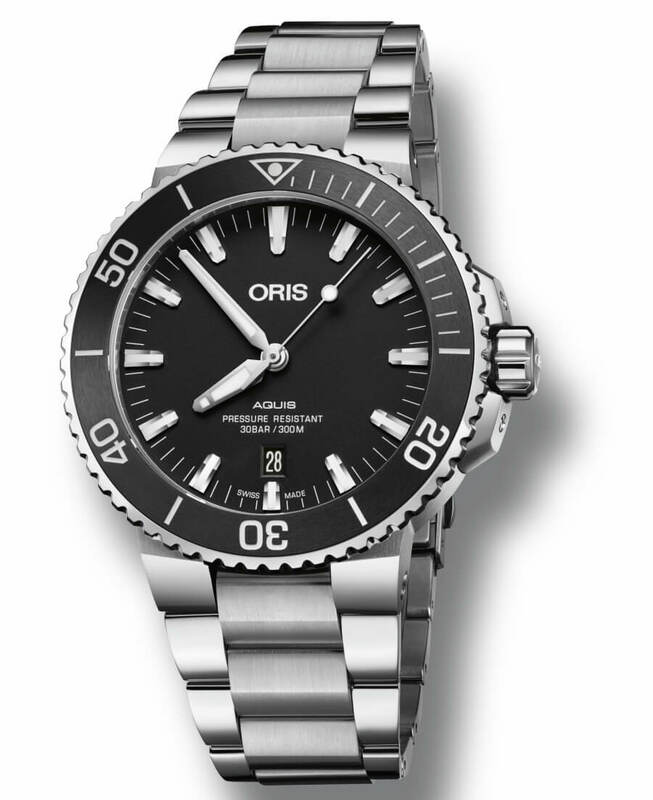 When somebody ask me to recommend a good diver watch, but not too pricey, the first thing that comes to mind is Oris Aquis. The new model is a more elegant feel, wich is not a bad thing, because Oris made this improvements without distracting from its tool watch credentials. 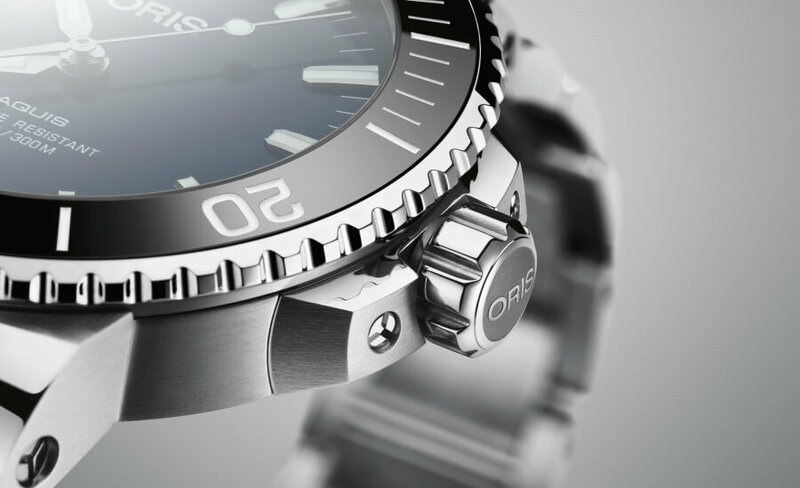 Oris states that the new Oris Aquis Date was designed to give divers confidence both in the depths and on dry land. The first Aquis was characterised by the design of its muscular horns and uni-directional rotating bezel. While the horns were designed so the metal bracelet or rubber strap would pivot to fit a wide range of wrist sizes, the broad bezel and its oversized numerals delivered outstanding underwater legibility. The new Aquis Date continues both the spirit and design DNA of its predecessor. The horns and the bracelet are now thinner, giving the case and the whole watch a more slender profile. The hands and indices have been redesigned to look bolder and sharper, and the screw-in security crown and crown protectors have been refined to give the watch a sleeker silhouette. The bezel inlay is made of black, scratch- and fade-resistant ceramic, and the dial now proudly carries the Aquis name. As well as aesthetic improvements, the new Aquis Date also delivers practical enhancements. The uni-directional bezel is now easier to grip, thanks to a small gap introduced between the case and the body, allowing greater purchase. 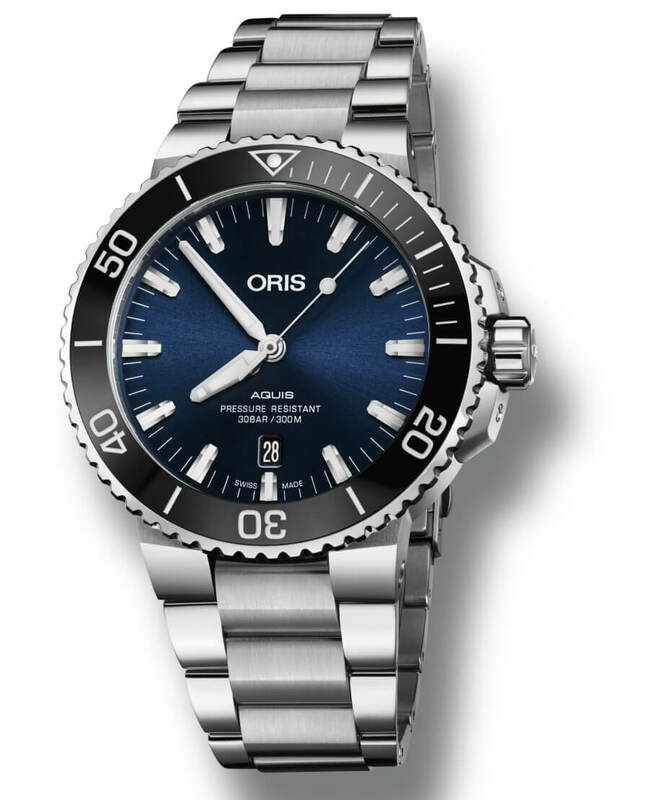 The Aquis Date is water-resistant to 30 bar (300 metres), making it ideal for experienced scuba divers. The new Oris Aquis Date comes in two dial colors, with Blue dial Ref. No. 0173377304135 MB and with balck dial Ref. No. 01 733 7730 4154 RS. It is powered by an automatic movement Oris Cal. 733, with date at 6 o'clock. It is water-resistant to 30 bar/300m. It has sapphire crystal domed on both sides with anti-reflective coating inside. The case back is screwed with see-through mineral crystal. The indices, the second hand with 'lollipop'insert and Nickel hour and minute hands are filled with Super-LumiNova®. Swiss retail price CHF 1,750 on a strap, CHF 1,950 on stainless steel bracelet.